Nonprofit organizations (NPOs) dependent on federal and state funding to successfully serve their clients and community often have their hands full dealing with extensive laws and regulations. One area frequently mandated by state and federal governments is background screening. If your organization provides day care or child care services, or in the course of providing services brings employees or volunteers into contact with minors or vulnerable adults, you may be required to perform background checks on all employees and volunteers. Programs that use federal funds or are under federal contracts are required to conduct criminal background checks on both employees and volunteers. Additionally, many states require all of an organization’s employees and volunteers to undergo background criminal checks if any state funds are used by the organization. To implement background screening, you must notify the potential volunteer that it will be performed. If your organization is subject to mandated screening, and does not already have a formal application procedure, you should implement one immediately. Have the potential volunteer give written consent by way of a signature on a notification page, ideally separate from the application. Be sure to document everything! Each interaction with a potential volunteer, along with copies of background checks, credit checks, or criminal background checks, must be filed securely and preserved. You never know when you might need to prove that you took the proper steps to protect your clients and community members in your volunteer recruitment and placement efforts. 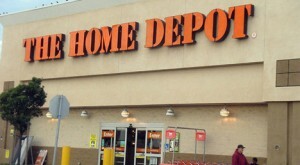 The Home Depot Foundation was created in 2002. It is dedicated to building healthy homes that families can afford to own. The Foundation encourages home developers to use durable, sustainable materials, to make sure the homes are energy and water efficient, and have good indoor air quality. Since it was founded, The Home Depot Foundation has granted $120 million to nonprofit organizations—and has supported the development of more than 65,000 affordable, healthy homes. Last year, The Home Depot Foundation partnered with Habitat for Humanity International in an initiative called Partners in Sustainable Living. Through this initiative, thirty Habitat affiliates built more than 260 green homes—meeting Energy Star or other green building standards. The pilot program proved that the upfront costs of building to green standards, about $2,000 extra for the pilot program houses, will be recouped through energy bill savings. Reports on the new homes show energy savings of between 15 and 30 percent already! It makes sense that an organization that builds affordable housing for those in need would also want the homes’ energy bills to be as low as possible—it’s better for the homeowners and for the planet. This week, The Home Depot Foundation and Habitat for Humanity International announced that the Partners in Sustainable Living initiative will be expanded nationally. More than 120 Habitat affiliates in 45 states have been selected to participate this year. $30 million in funding and resources over five years will help build 5,000 homes that meet Energy Star or other recognized green standards. The affiliates will be granted $3,000 for each home built to Energy Star standards, and up to $5,000 for each home built to a higher green standard. By the end of 2010, nearly 1,500 sustainable homes will be built. According to Kelly Caffarelli, president of the Foundation, “The Home Depot Foundation believes green building techniques are not a luxury—they aren’t exotic or expensive.” By helping more people live in green homes, The Home Depot Foundation is demonstrating a commitment to the communities in which they do business and to the environment we all share. According to the Philanthropic Giving Index (PGI), a report by the Center on Philanthropy, the climate for fundraising in the US has declined almost 9 percent for the first half of 2009, continuing the downward trend from 2008. In fact, positive fundraising attitudes among the professionals polled for the report has declined by 29 percent since one year ago. The report reveals that 86 percent of fundraising professionals say the U.S. economy is having a negative or very negative impact on fundraising now—a gain, when compared to the 93 percent who believed so in December of 2008. 60 percent expect the negativity to continue over the next six months, while 23 percent say the economy will have a positive affect on fundraising. The PGI is similar to the Consumer Confidence Index, which is used by economists and forecasters to measure Americans’ buying habits. The Center polls nonprofit fundraising professionals to compile the report, which also shows that the current giving environment fell to the lowest level ever since the study began in 1998. Fundraisers for arts, culture and humanities organizations and human services nonprofits feel they will have a more difficult road ahead, while educational and religious fundraising professionals are more optimistic about the current situation. Donors are still giving, although the pace and amount has slowed. Nonprofit managers need to continue with consistent, focused messaging and marketing efforts to stay top-of-mind in their supporters’ and donors’ minds. Building relationships with prospective donors is also extremely important—as is finding creative ways to make it easy for donors to give. Fundraisers report that Internet and email fundraising, along with direct mail, are the most successful venues for getting donations. Foundation grants and major gifts are falling, 23 percent and 39 percent, respectively since December 2007. The good news is that expectations for the next six months are better, while still short of true optimism. Nonprofit organizations (NPOs) will likely face continued difficulties in raising funds. 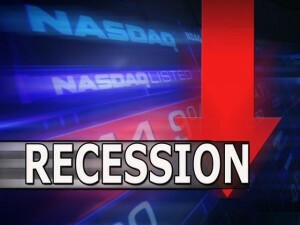 But, it’s difficult to predict how the recession will impact charity giving—because the only thing predictable is uncertainty!